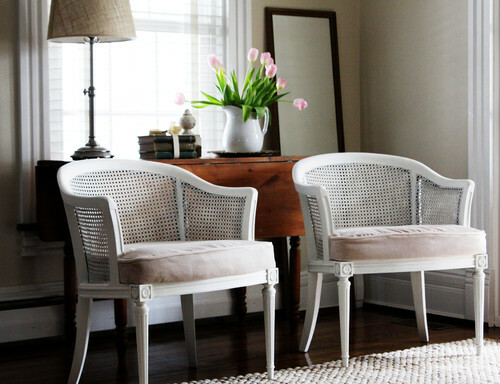 Are you having trouble finding that perfect piece of furniture for a certain spot in your home? 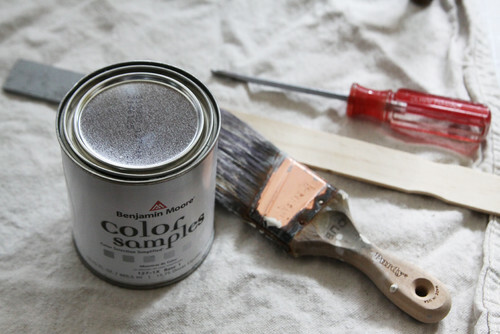 It can be difficult and time-consuming to find exactly what you’re looking for, especially if you have a tight budget. I find estate sales to be a great source for quality furniture at a good price. The problem is, you may find something that’s dated. Don’t worry. With a little bit of effort you can give a piece a brand-new look. I found these two chairs at an estate sale. The pieces were in great shape, and I knew with a little paint and some new fabric they would work in our living room. There were originally priced at $140 each. 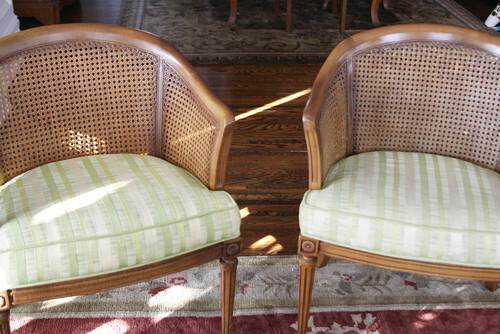 I didn’t want to buy them at that price, so I left my number with someone from the estate sale company and asked for a call if the chairs were still there at the end of the day. Turns out I was able to pick up the pair for $140. A while back I had received a coupon for two free samples of Benjamin Moore paint, so I used one of those to paint the chairs. The color is Linen White. To cover the cushions, I found a neutral velvet for $12 a yard. Measure your cushions and be sure to buy enough for the band and to make the cording if your cushions have it. I always buy a little more than I think I need to be on the safe side. To make a pattern for the cover, I put the cushion face down on kraft paper and traced it. I added about a half-inch for a seam allowance and cut out the template. 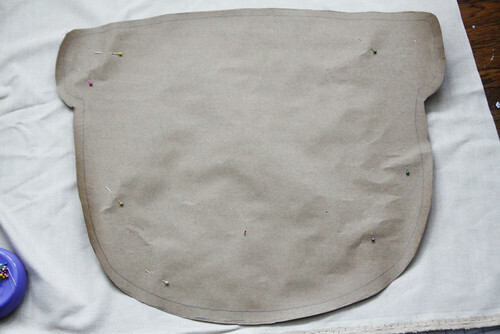 To use the pattern, lay it on top of your fabric, then pin it and cut around the edges. You can see the full tutorial on how to make the cushion covers on Houzz. 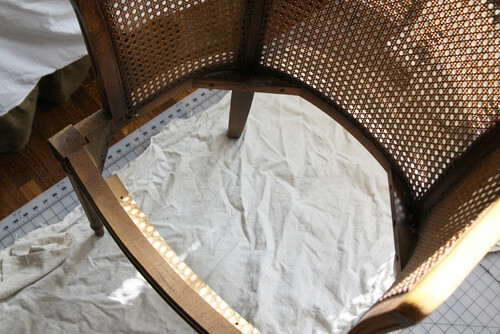 This article first appeared on Houzz.com in March of 2012.